Scheduling time at an everyday mechanic shop for routine problems take time you may have to give away. They can keep your vehicle for hours or even days to determine and fix its problems. You may not have the option of being without transportation for that time. This is where we come in. Convenient and reliable mobile auto repair is our specialty and we are ready to help get your car back on the road and you back on track. 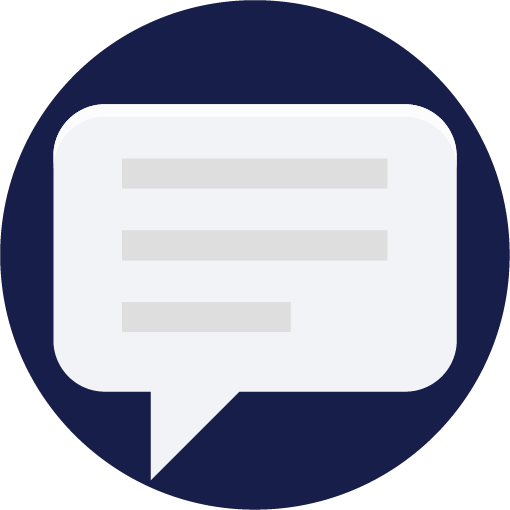 Our online chat platform makes it quick and easy to get a free quote from one of our knowledgeable mechanics. Whether your at your home or office, we come to you for convenient and reliable service. Our mechanics will diagnose and repair your vehicle on site saving you the time and hassle of crowded shops. We employ the best mechanics that you can trust to come out to you for friendly and effective service. 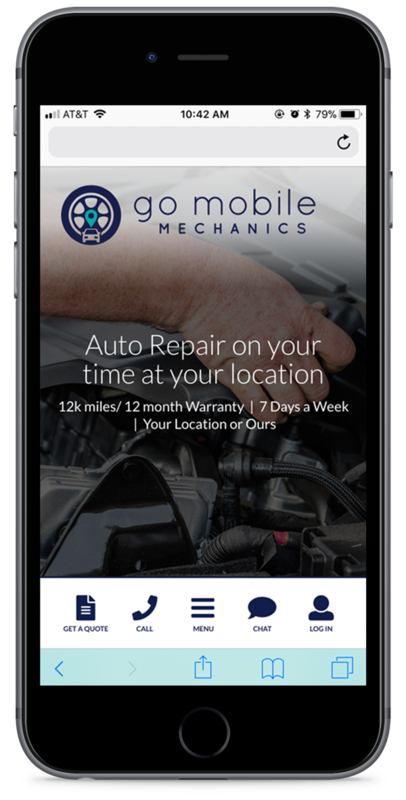 Let us know your vehicle year, make & model and what repair or service you need and one of our friendly & knowledgeable Go Mobile team members will provide you with a fast, free quote, online or by phone. Not sure what's wrong? No worries, we can set you up an appointment with one of our Go Mobile Diagnostic Experts. Not sure what's wrong? No worries, we can set you up an appointment with one of our Go Mobile Diagnostic Experts. Tell us your desired date, time and location and your Go Mobile Mechanic will come to you! Payments are never processed until services are completed and our mechanics do not perform or charge you for ANY service without your approval. Never worry about unexpected repair fees again. Yes! All of our mechanics go through a rigorous vetting process consisting of background checks, work & training history, reference checks and up to a 30 day in-shop evaluation. No. Go Mobile Mechanics supply quality and affordable parts provided by our trusted network of suppliers. We would not be able to provide a full warranty without knowing the quality of the parts being used. Therefore we require our mechanics to use Go Mobile Mechanics supplied parts only. No. We do require a credit card on file to book and hold your appointment time, however, you will not be charged until services and repairs have been completed. Does Go Mobile Mechanics offer a warranty? Yes. All of our services and repairs are guaranteed. We offer a 12k mile or 12 month warranty, whichever comes first. Our Limited Warranty covers part failure and technician error. How do I make a claim for warranty service & repairs? Name, Phone Number, Vehicle Year, Make and Model and Original Repair Order Number. Include a description of what you are requesting to be covered under warranty with pictures and/or video to support your claim. 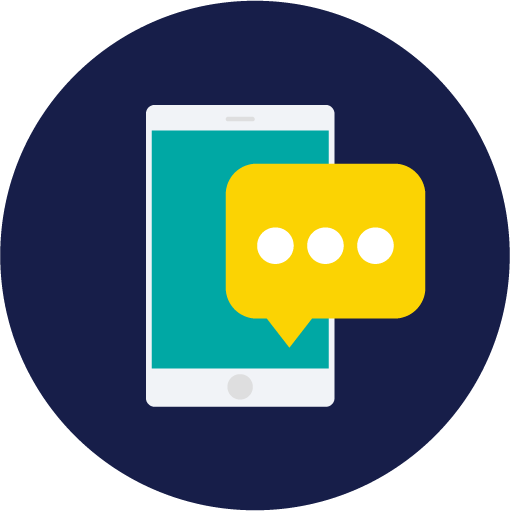 Within 24 hours of receipt one of our team members will reach out to you at the phone number provided to resolve your claim request and set any necessary appointments. What is the Virtual Mechanic? The Virtual Mechanic is a Maintenance & Vehicle Health Monitoring service. For a list of features and maintenance services covered click here. Can I use my own mechanic for maintenance services? Yes. However, your out-of-network repair shop may charge you additional out of pocket expenses. If your local repair shop would like to become one of our in-network partners they can apply by emailing partner@gomobilemechanics.com. No. 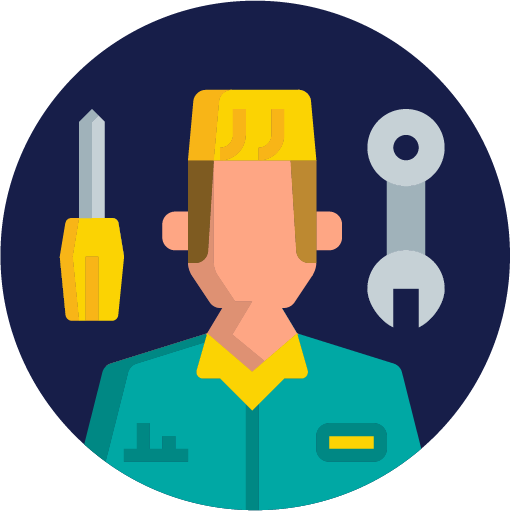 The Virtual Mechanic is a contract free, full maintenance & monitoring subscription service. You are free to cancel at anytime. Our full cancellation policy can be found in your Digital Maintenance Agreement. Can I transfer the Virtual Mechanic adapter if I buy a new car? Yes. Simply connect your Virtual Mechanic adapter into your new car and take a drive. Can I transfer the Virtual Mechanic subscription to a new owner if I sell my car? Yes. Simply call our customer service line to request a transfer and provide us with the new owners personal and payment details. We will require a bill of sale to process the transfer request. Do the monitoring mechanics have access to my vehicles location or trip logging? No. Your Virtual Mechanic monitor has access to a very limited amount of data related directly to the health of your vehicle. More specifically, we receive data recorded and stored by your vehicles on board diagnostic system to alert us of any problems your vehicle may be experiencing. Can the Virtual Mechanic detect everything wrong with my vehicle through their remote diagnostics? There are a few limitations to what our Virtual Mechanics can detect and diagnose remotely. For those times we have included in your maintenance plan periodic multi point inspections provided through our Virtual Mechanic partners.